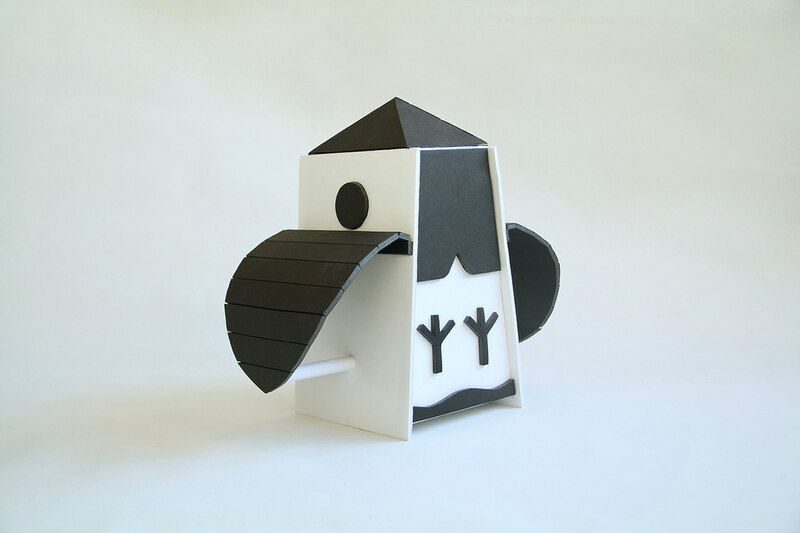 This foam core birdhouse model was made for my form class. 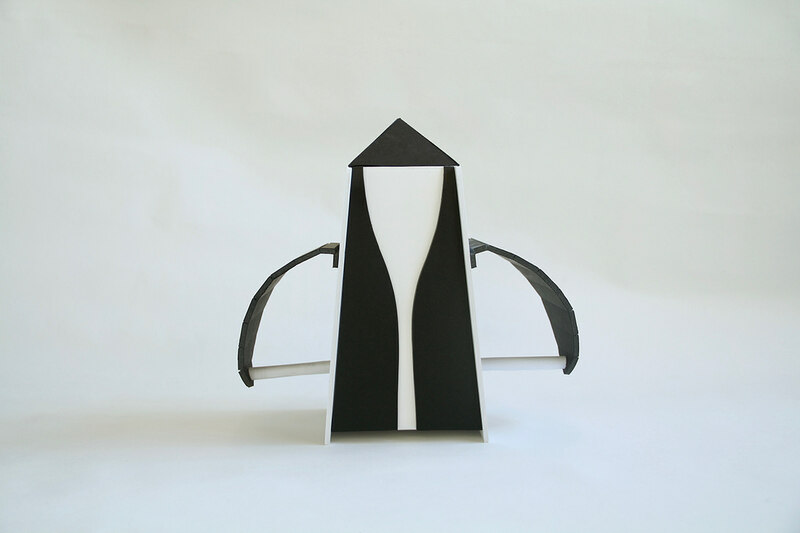 Its design is meant to be a pun (it's a bird-bird-house!). It bears resemblance to the species it accommodates, namely the Great Crested Flycatcher, and the space beneath the wings are perches, shaded by the wings. It would nestle in a tree, about 15 feet off the ground. This model is collapsible, made with impermanent box cutting/joining techniques (channel/crush joints, and straight/ angled cuts). 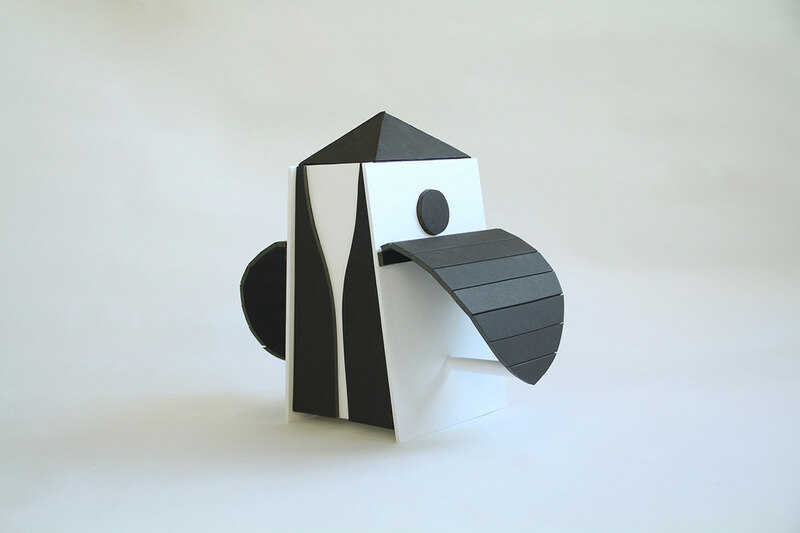 This foam core birdhouse model was made for my form class. 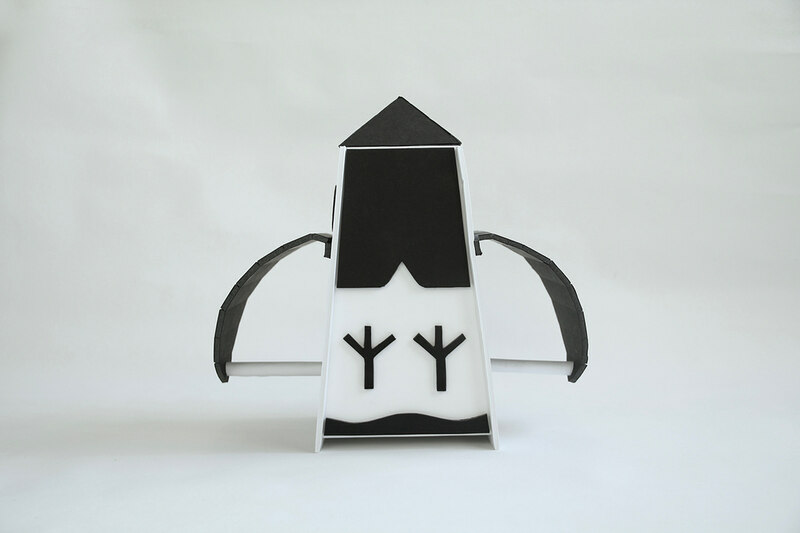 Its design is meant to be a pun (it's a bird-bird-house!). It bears resemblance to the species it accommodates, namely the Great Crested Flycatcher, and the space beneath the wings are perches, shaded by the wings. It would nestle in a tree, about 15 feet off the ground. This model is collapsible, made with impermanent box cutting/joining techniques (channel/crush joints, and straight/ angled cuts).